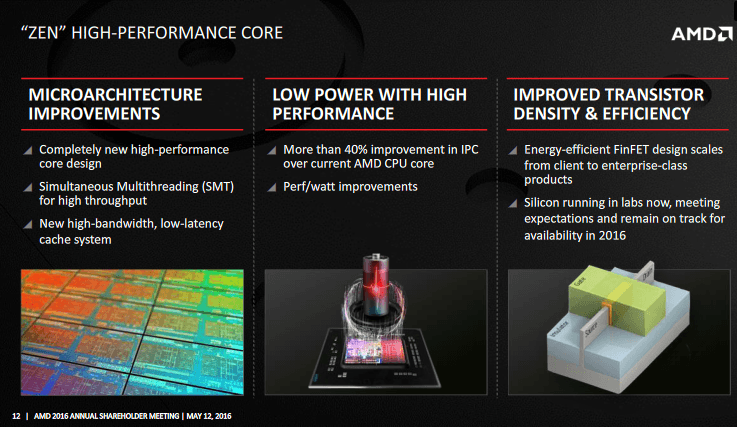 It apparently shows Zen based Summit Ridge dies on a wafer and has been grabbed by ComputerBase, which published it in an article covering AMD's Annual Stockholder Meeting and some interesting updates in their Investor Presentation slidedeck. 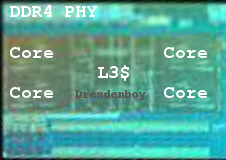 There you can see one core complex with four cores and likely 8 MB of L3 cache. Hey, what are those silicon parts in the bottom? Below the cores? I'm guessing some kind of interlink. And there should be some l2$ somewhere. Probably stuff like the memory controller and south bridge .